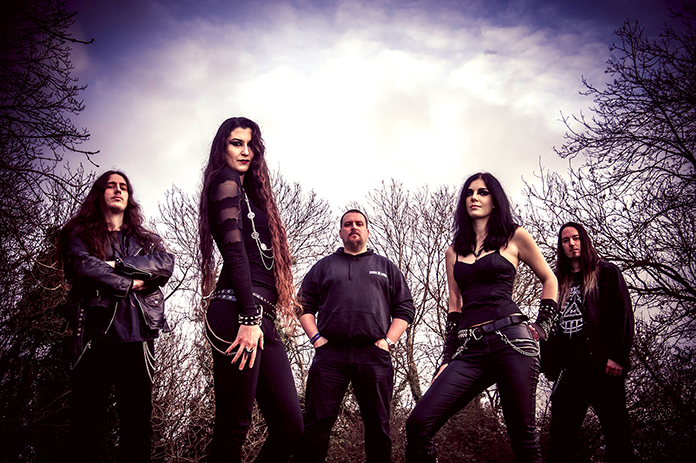 The Bristol (UK) based Metal Band Triaxis have introduced Angel Wolf-Black from Greece as new singer. Read the news and spread the word! Over the last couple of months I have loved learning and rehearsing the Triaxis material and I am so excited to perform it live! I hope that the fans will share in my excitement and enthusiasm for the future. We have already begun to write for our next release so they shouldn’t have long to wait! We are very happy to welcome Angel on board, it was pure good fortune that such a perfect fit for the band had just moved to England when we had started advertising for a singer. We would also like to thank the Triaxis vocalist of 10 years, Krissie Kirby, for all her work with the band. When she first spoke about leaving the band we were of course feeling low and uneasy. But now we are honoured to have Krissie’s blessing in continuing the band in it’s new chapter with Angel at the helm. There is still an exciting future ahead for Triaxis! 26. Januar 2017 in Musik, Pressemeldung.